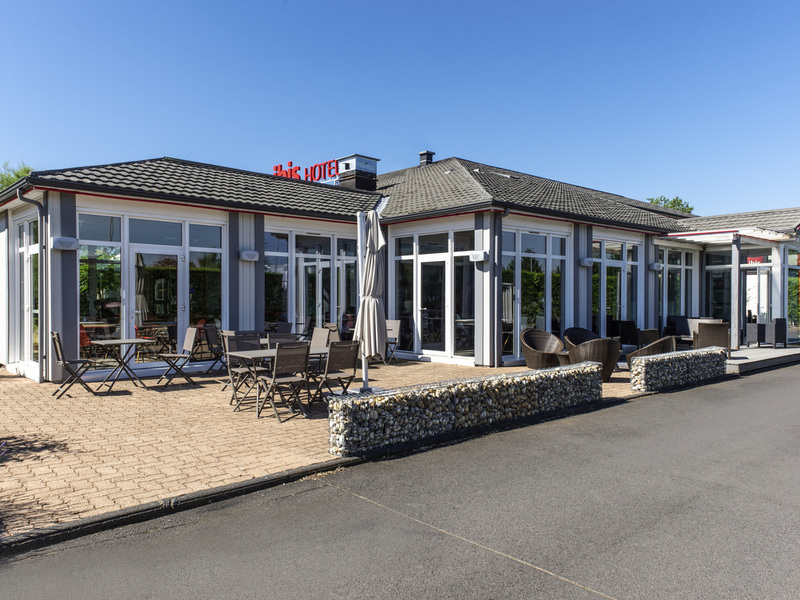 The Hotel ibis Issoire is 0.6 miles (1 km) from the center of Issoire, near to a shopping mall and the A75. The hotel is located close to the Auvergne mountains, the Issoire lake and is 18.6 miles (30 km) from the Super Besse ski area. It has 40 air-condi tioned rooms with WIFI, including 2 adapted for people with reduced mobility. A Courtepaille restaurant, bar, 24-hour snack service and a private enclosed outdoor car park are available. At the base of Monts d'Auvergne. 15 mins from Grande Halle d'Auvergne and Zénith. 5 mins to city center. 0.6 miles to Issoire race track. 45 mins to the Super Besse ski resort. Man at desk on arrival was very helpful and polite ,the toilet has not been flushed or cleaned but we were too tired to complain. The lady at breakfast was unhelpful and did not bother to explain our bill due to language barrier. It was in the average ok. I've been treated better in hotels. Due to the motorway closure going south, we decided to stay in your hotel. I checked the rate on my phone as we stopped in the Carrefour car park but was charged a higher rate by your receptionist who was very friendly but firm. My loyalty card 10% discountapparently only worked on-line. When the heating/air conditioning failed your receptionist was very helpful offering to move us or gave us an electric fan heater. Your team were all very friendly and helpful. Overnight back from the south of france good sized room for a Ibis bed a little tired but a good nights rest. We used. This as a stopover. It was such a pleasant stay we may use it more often on our travels through the area. overall nice stay. The first room had a bad smell but was changed ad no more issue. A poor room on the ground floor, making it difficult to slee with the window open. We ate in and paid far too much for a dreadful meal Probably a new low in using IBIS for the past 30 years, so we shall probably NOT use you again. Staff were very friendly and helpful, they were very good at speaking English, which was a great help. One criticism though, they need educating in bar work. We asked for a gin and tonic, but were served a vodka and tonic, with no ice or lemon, and the threw away the unused tonic! Comfortable and welcoming. The staff were extremely helpful. Just got ff the motorway to the Amex this is a convenient way lace to stay. Although the room was cold and we failed the find how to make it warmer we slept well. We were not given the room for handicapped as expected. My wife had to climb stairs to go to the room. In my profile, it is clearly said that we need a room near a lift or at the ground floor. The reception told that this information is never read and that I instead had to send a message. My wife suffers from arthritis and thus has difficulty to walk. A person on a wheelchair would have had to search for an other hotel. The room was cool on a very hot day. The air conditioning worked.